FREE28CSAP - for $28 free! 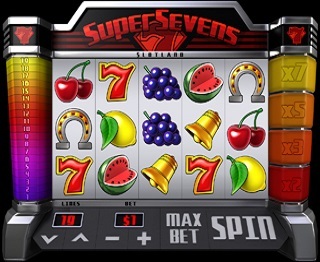 Unfortunately, due to certain laws that prohibit online gambling in most states in the USA, players from the US who want to play casino games for real money have a hard time finding a suitable casino. Slotland however is a welcome exception, and still accepts players from the United States. The great thing about the Slotland app is that new players will recieve $18 for free when they register, and $28 if you use our special Code: FREE28CSAP. 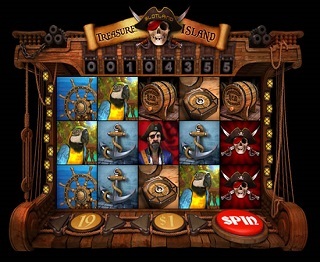 Free money to try out Slotland’s mobile slotmachine games! The only thing you have to do is register (which is without any further obligations). After that, if you every decide to play fro real money again and you make a first deposit to gain casino credits, you are awarded with a welcome bonus up to $1000! The Downside of the Slotland app is that it offers only slot games: no poker or roulette, or any other type of casino game: just slots. But if that’s what you are looking for, you’ve come to the right place. 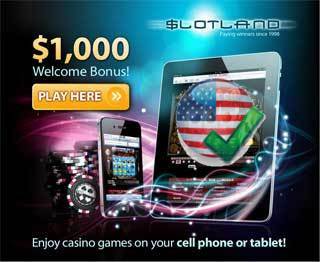 Slotland has over a 100 different mobile slot games in stock especially for players form the USA. You may experience difficulties when you want to make a deposit mind you: even though payment providers like VISA, MAstercard, Neteller, PayPal and Skrill are most definitely allowed to transfer money from your account to a mobile casino, some banks in the USA are still not aware of this and may block your transfer. Slotland’s app is suitable for almost any type of mobile device, and runs smooth on devices with iOS, Android, Blackberry and Windows alike. If you visit their mobile site, you will automatically land on the right site for mobile players, and installing the app from iTunes, Google Play, Blackberry Store or Windows Store is easy from there on.